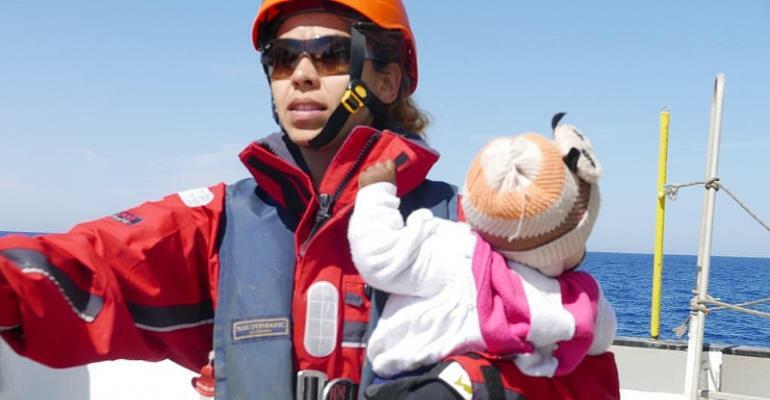 In 2016, French journalist Pauline Bandelier spent three months on board the rescue ship SOS Méditerranée Aquarius, recording the stories told by migrants desperately trying to reach Europe. What became of them after their dramatic rescues? Her book Paroles de Migrants is a collection of conversations and observations stemming from the migrants' experiences. These are journeys “brave, often painful, sometimes exceptional,” Pauline Bandelier says, explaining that she wrote the book because although "there's a lot of talk about migrants in the media, we don't hear enough about the individual stories. "These people are amazing. If they were able to make it all the way here, after everything they've been through, crossing the desert, crossing the sea, it shows that they are so courageous, so resilient. "They have something to share, and we have something to learn from them." Pauline Bandelier has worked for various French publications as well as radio in French and English, and has lived in China, the UK and the USA. Paroles de Migrants, her first book, is published by Hugo & Co, released in French on 4 April 2019, with an English version in progress.